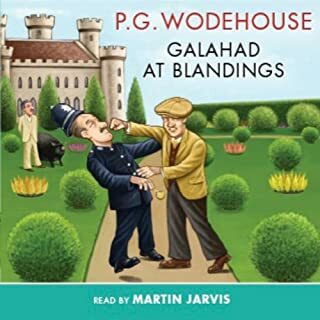 Galahad Threepwood is causing scandal again...this time by deciding to NOT publish his potentially humiliating high-society memoirs. His decision causes rifts in the ranks at castle Blandings and all involved split into three camps: those who want the book suppressed, those who want it published, and those, who for some reason or another, that have been sent to steal it. When Bill Bannister meets Dr. Sally Smith, love blossoms immediately. Unfortunately there is just the small problem of Lottie Higginbotham, former actress, serial bride, and human fireball, with whom Bill is already involved. The well-meaning interference of Bill’s old friend, Squiffy Tidmouth, once married to Lottie, only complicates matters further, until everything is straightened out in a series of comic encounters at Bill’s ancestral home and everyone lives happily ever after. A Delightful Book. A Stellar Performance. I don't mean to repeat myself but I can't think of a better word--this is simply a delightful story, made even more delightful by the many-sided vocal talent of Mr. John Wells. From the rotundity of Beach to the ferret-face of Percy Pilbeam, everything is as vivid as if the listener was watching a movie. Better, in fact. 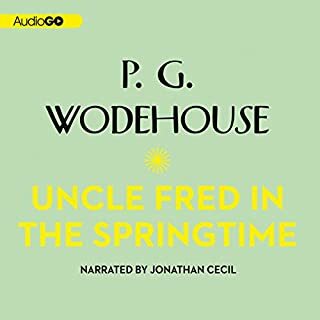 A movie would have to cut out most of Wodehouse's narration, which is where most of the fun resides. The volume under advisement contains, among other riches, a chorus girl posing as a million heiress, a stolen pig, a volume of memoirs that could lose Lady Constance Keeble all her friends, and one of the best drunk scenes in all of the Master's canon. Like most of the Wodehouse in my collection, this is one I go back to again and again. Maybe it's just me. Maybe I suffer from some little-known form of dementia. 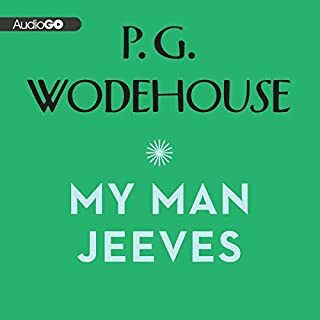 But I enjoy listening to Wodehouse--especially when it's performed this flawlessly--over and over. He's one of the few humorists I know who can be funny without hurting anyone's feelings or slipping into bitterness or sarcasm. In the midst of the most violent, unhinged century on record, Pelham Grenville just went on writing funny stories. God bless him. P.G. 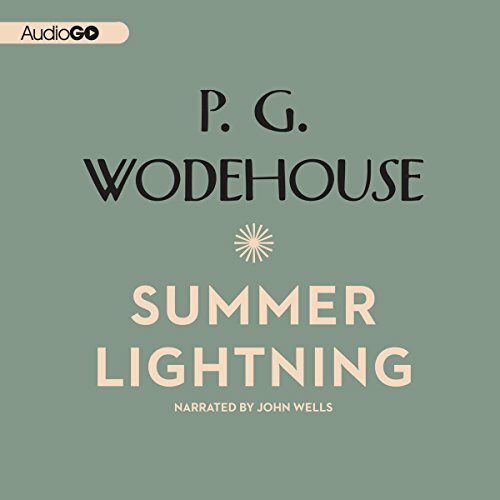 Wodehouse blends all the usual elements in "Summer Lightening", one of the "Blandings" novels. As expected, we find Clarence, the 9the Earl, his imperious sister Constance--daughter of 100 Earls--the eternally youthful Gallahad--the only distinguished member of the family--Beech, the butler, and an assortment of other characters who fill the slots in the standard Blandings formula: star-crossed lovers, impoverished suitors and the inevitable visitors to Blandings who find they must assume a disguise to secure entry into that favored realm. 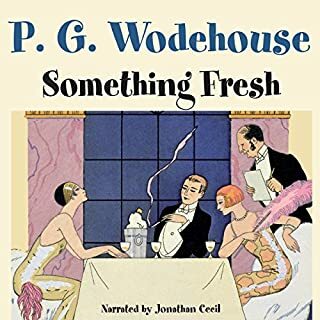 Wodehouse brings just enough fresh material to each installment in the series to keep it enjoyable, while trotting out enough of the old standby pieces to make one feel that one is safely on terra cognita. The problem with this particular recording, in my opinion, is that John Wells lacks the remarkable talents of the other narrators one finds in the Audible library. Jonathan Cecil, Frederick Davidson and the absolutely pitch-perfect Nigel Lambert all manage to create distinct voices for each of the characters in these densely-populated works. John Wells' voice is pleasant enough in the general narration, but he does not create a unique voice for each of the characters--not even the main characters who occupy the majority of the book's focus. 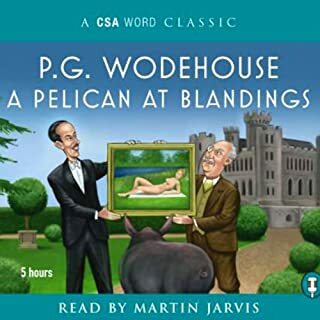 It takes more than a sub-standard narrator to ruin Wodehouse, but I would recommend one of the recordings by the masters in lieu of this one. sometimes the narrator uses a voice to portray some of the characters which is difficult to understand. story is Wodehouse at his best. alas, the reader tried to make each character's voice unique and distorts some of them so badly one can't follow what words they're saying. What could have been a marvelous Wodehouse story has been dashed by the unforgivable narration. Shrill voices, numerous lisps & other speech impediments combine to constantly jar the ear. I can take a few characters thus represented, but not what seems to be the majority. It was all I could do to get through it to the end. I'm not usually so harsh, but this interpretation was so irritating that I'll most likely pass on future opportunities to listen to books narrated by this reader. What disappointed you about Summer Lightning? 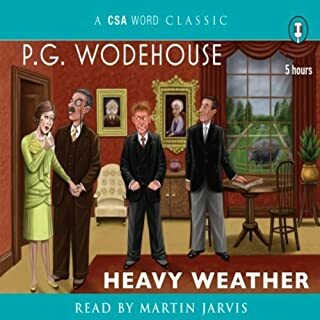 Having listening to the earlier Blandings Castle books narrated by Jonathan Cecil, Summer Lightning was a huge disappointment. Grating, squeaky female voices and Lord Emsworth just doesn't sound like himself.